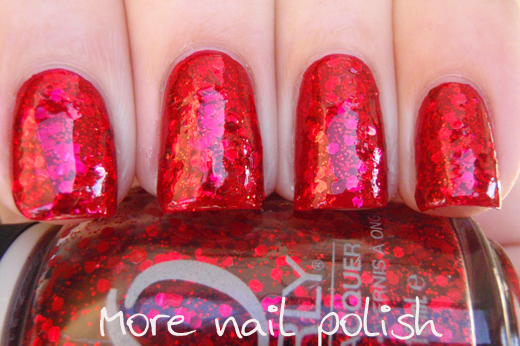 If there is one type of polish that I really struggle to photograph accurately, it would have to be a red glitter on red polish. 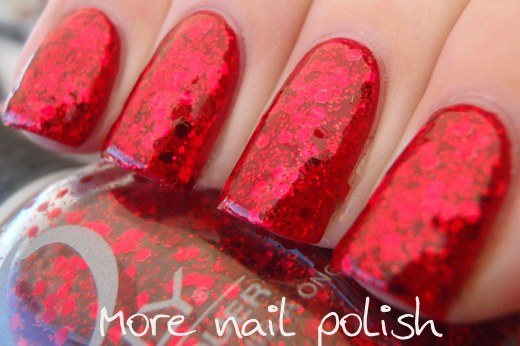 I had this exact same problem both times I wore and photographed Lynnderella's Ruby Red Ruby. 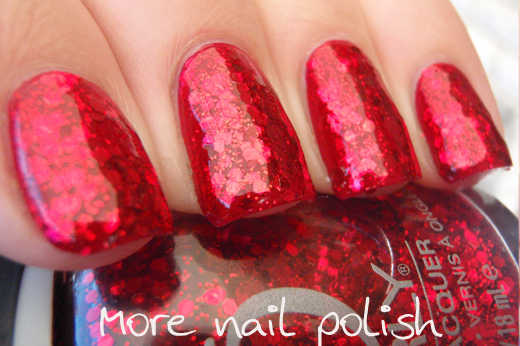 In my opinion, red glitter polishes on red are one of the most amazing looking manis ever, they truly glow like a magical gem. Whereas my photos just make them look flat and lifeless. Booo. Rockets Red Glare is packed with red hexes in two sizes. I did two coats over a red creme, topped with two coats of Seche Vite. 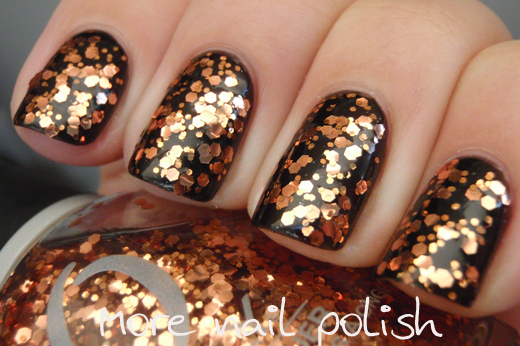 Watch it Glitter is a copper glitter topper which contains two sizes of copper hexes. The small hexes in this are bigger than the small hexes in Rockets Red Glare. 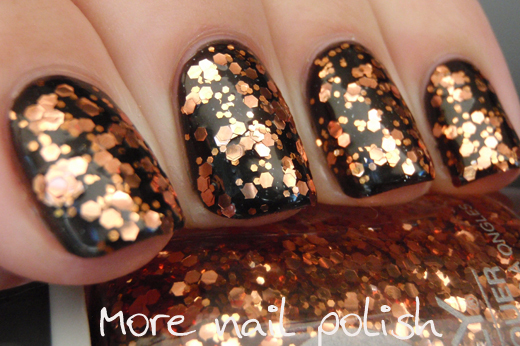 I did two coats of Watch it Glitter over black. Did the glitter in your Watch it Glitter sink? I kept seeing this polish on the clarence rack at my Sally's, along with others from the collection, and all the formulas has separated. It stopped me from buying them actually! Both beautiful. But the red...it is gorgeous ! !